From the look of the trailer that you can click above, the new Red Hook documentary A Hole in a Fence, is a valuable look at a pat of the neighborhood that is nearly being erased and recreated. 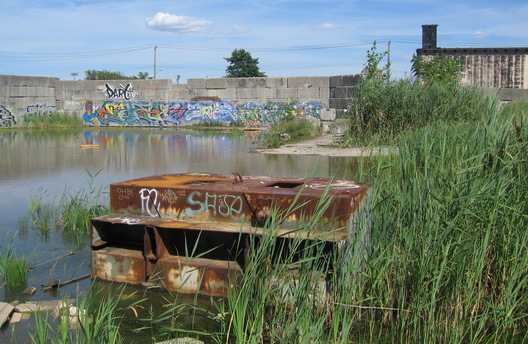 The film looks at Red Hook through the big empty lot that is adjacent to the former Todd Shipyard and current Ikea. It has served as a home for the homeless and for some of Red Hook's famous (and now rescued) wild dogs. Ironically, a sign has just gone up on the property advertising that it is for sale and ideal for use by a big retailer. You can find the website for the film here. A screening schedule will be announced soon.